My old trusty hardtail is still in good shape (with many components changed or upgraded during these 8 years). Yet “M” sized frame seems a little too small for me (I’m 183 cm high) and the promised wonders of full suspension are hard to resist. 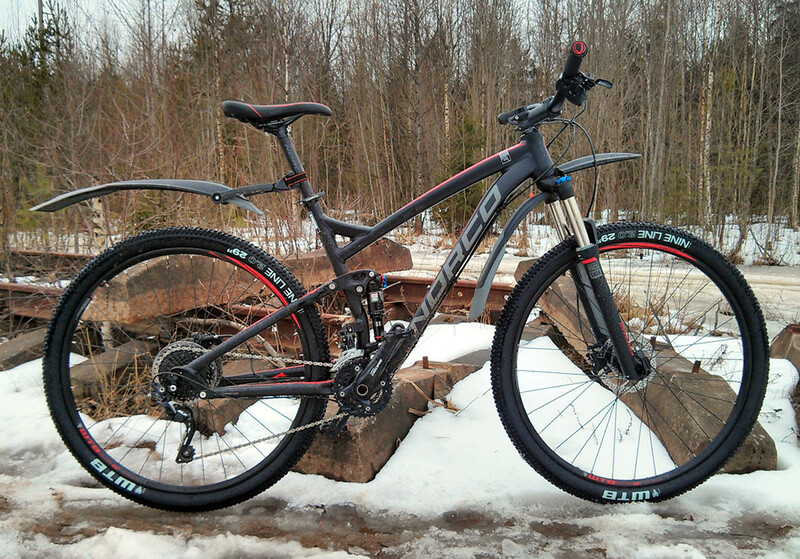 So I smashed my piggy bank and bought me a Norco Fluid 9.2 (2015). The weirdest thing about it for me is that it’s a 29er. I was very skeptical about this standard but now that the prices are pretty much the same it’s not an issue any more. Anyway, if there’s any advantage of 29er over 26er, it’s probably too subtle for me to feel. Which is not the case with rear suspension. 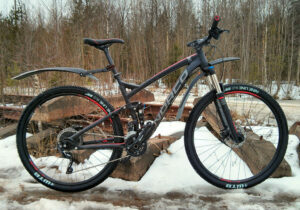 It’s amazing and makes a lot of difference, especially on rooty forest trails. The fork (120 mm RockShox XC-32) is a bit of a disappointment though, not feeling any better than coil XC-30 I have on my old bike. The plan now is to turn my old bike into more city-oriented commuter. Another issue to deal with is dirt. While I pretty much solved the problem on my old bike, it’s a mess on a new one, even with SKS Shockblade II/X-Blade II combo. The rear shock, the bottom bracket, my shoes and feet are covered with dirt after getting into the smallest puddle, and we don’t have many dry days around here.